Learning Regular Expressions: target audience? For what level of audience is this book targeted for? Can it be for beginner to advanced? 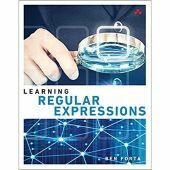 Learning Regular Expressions: specific to any language? Thank you for the opportunity and platform to ask questions on the book. 1. Regular expressions depend sometimes on the language where it is being used - would you be covering specific to any language? 2. For what level of audience is this book targeted for? It's really amazing to have a book on regular expressions, I have always been weak at regular expressions. I really excited to get an opportunity to read the book. I love your books, I have read Java 6 and many other books authored by you like JSP Servlets, Head First Java. Looking forward to read this book and crack my Java 8 Certification exam. This is like a goto book for me. Would this book just cover only the topics asked in the exam? 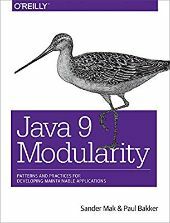 Would you cover all the topics available in Java 8 - like a quick reference guide for the Java 8 changes or topics? Would you cover the topics in the beginner perspective or advanced too? I am just very excited for your book, so just in time great book for my exam. Welcome Kathy, Bert and Elisabeth. 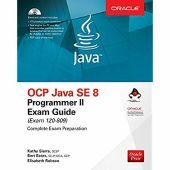 I am preparing for my Java 8 certifications, your books are the goto books. Would love to read your book for this one. Love your books. 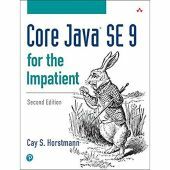 Java SE9 for the Impatient: cook book? Firstly, thank you so much for the book! Everyone now is asking about Java 9 for the interviews. I have a few questions. Would it cover Spring container along with the Spring web services - SOAP and REST. Would you also be having an insight in regards to what to use, some design pitfalls when using Spring, when to use it. 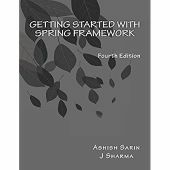 I have worked on few projects where I have seen spring implementation just to sound cool and new. Just to give us an idea as to why spring, and the flavors it offers. I do understand that now, Spring Web Applications is new way, some people also still prefer struts 2 etc. Would you also cover spring microservices like Spring Boot? Would you be having code samples and exercises or examples to help us better understand through show and tell ways? Sorry too many questions, I have always been looking for a Spring book which would cover basic and advanced - like a reference book. Head First Android: real world example? Hi and thanks for promoting this book in the forum! 1. Will this book cover the development of an App with a real world example. 5. Will it have topics on how we can make it run as a background process or send notifications to the user or interact with third party websites. 6. Probably throw some light on some expected errors or bottlenecks or common mistakes. I am sorry, too many questions, I am new to Android development. This question may sound a bit naive, but I was reading one of the posts... One of the guys posted as whats the difference between Hibernate and JPA. My question is that, would you be possibly hinting at when to use Hibernate or JPA. Like pros and cons, because I have used Hibernate (Just know how and thanks to Google) but I have no idea about JPA apart from what I heard is that that it's the new trend. What impact do they have in terms of performance, usability, complexity etc. I had couple of queries. 1. As the overview mentioned, it covers from beginner to the professional standard. Would it be having some real time examples as to how to combat production deployment complications. Or get to know common errors or mistakes to make sure we don't do them. 3. Would it cover the required configuration with some of the popular web application servers. 2. Would it be covering all the topics of Hibernate and JPA, or this is to be used as a reference. 3. Do we also need to refer to some references to understand more on Hibernate & JPA, I mean can this course be a one stop and know it all instead of know some of it. I was really looking forward to upgrade my knowledge in Hibernate and JPA, as I just have know how knowledge - wanted to know in depth.